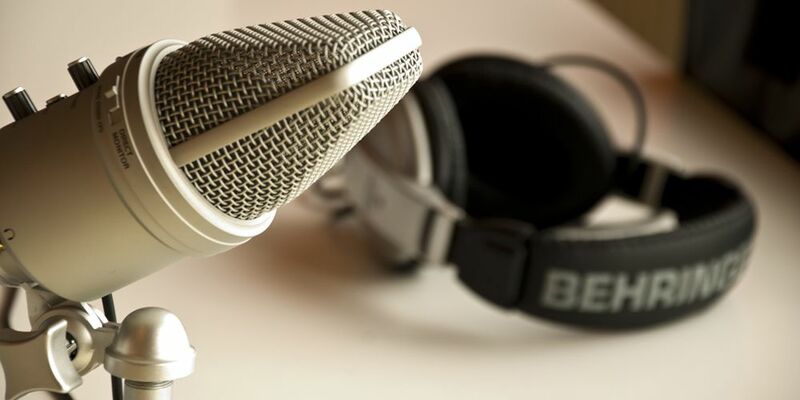 15 Awesome Fantasy Football Podcasts You Need to Check Out! In my day job, I spend a lot of time alone. I work a minimum of 12 hour days and about 6 hours of that time I spend in a car, so I get bored a lot. In fact, I get so bored that I recently passed 50 podcast subscriptions and I fully expect that number to continue to grow as I find better podcasts to listen to throughout my day. For those of you who don’t have even close to the amount of free time that I currently possess I figured I would give you a quick rundown of the best podcasts in the game. Now obviously, our 3 current podcasts are my top 3 podcasts that I always listen to and I think that each and every one of our readers should already be subscribing to them. If you aren’t, then stop what you are doing, go subscribe, rate, review them on iTunes or whatever podcast system you use. Side note, when I say that you should rate them, I mean give them 5 stars! It makes a difference and these guys are the best and worth the rating! As a point of clarification to the reader: the podcasts are not listed in chronological order of my favorite or any other ranking system other than being my top 15 fantasy football podcasts. Instead of putting them in yet one more countdown list from 15 to 1 or any other ridiculous off-season gimmick, I figured I would instead place them in the broader categories of Fantasy Football, NFL, and Special NFL/Fantasy Topics. First, and obviously the most important category here; fantasy football. DLF Dynasty Podcast – This DLF fantasy podcast is focused, as it states in the title, towards the Dynasty listeners. Whether you are new to the game or have been playing dynasty fantasy football for years this podcast is a terrific resource. The podcast shifts sometimes from episode to episode because of its cycling roster of hosts, typically a combination of Jeff Miller, Dan Meylor, Matt Price or Chad Scott, this podcast will offer you new insights into topics ranging from Dynasty deep dive targets, IDP focus, strategy, and even trade finders assistance. The hosts also interview guests from DLF as well as others from around the fantasy football industry so it provides an added perspective from time to time. Check them out here! Fantasy Feast: Eatin’ with Ross Tucker and Evan Silva – How can you go wrong with listening to a podcast that headlines Rotoworld’s Senior Football Editor, Evan Silva? Simple answer: you can’t. Evan, one of the titans of the industry, talks the actual podcast host, Ross Tucker, a former journeyman NFL offensive lineman and a complete man-beast in all things relating to NFL. Together they discuss an assortment of topics including a recent double-episode podcast about Evan’s top 20 fantasy breakouts for 2017. The two combine for an onslaught of information that joins Tucker’s background in reality playing in the NFL and strategy of the game with Silva’s numbers, metrics, and fantasy strategy. They are a pure delight to listen to every time but I suggest keeping a notepad handy as there will be some seriously good information being tossed out there every little while that isn’t even the topic being discussed. Check them out here! Fantasy Football Champs – The FFChamps podcast is a true behemoth, the podcast clocks in at 120 minutes each time! FFC is hosted by Bill Enright, FantasyPros 3rd most accurate fantasy football expert in 2016, and Anthony Grace. They spend 2 hours a week talking live on Patriots.com to create a truly unique listen each and every time. Don’t let the fact that their podcast is hosted by the Patriots be a deterrent to you, I expected a very pro-Patriots slant to the podcast but was pleasantly surprised how they rarely even mention the brand at all during the show. The Champs have terrific interaction with fans and listeners, largely due to the call-in options during the live broadcast and Grace’s very active in-season Twitter usage. Podcasts post twice a week and the duo covers the previous weekend’s action in a recap episode and then start to look forward to the coming week. Prepare yourself though for rants from Bill as he calls out what he sees as blatant stupidity in the fantasy community; just hope you’re not the caller on the phone at the moment when he gets going because you could be on the line waiting for a good while waiting to get a word in the conversation. Check them out here! The Fantasy Footballers – There isn’t much more I could probably say that you don’t already know about these guys; they’re simply the best in the business. 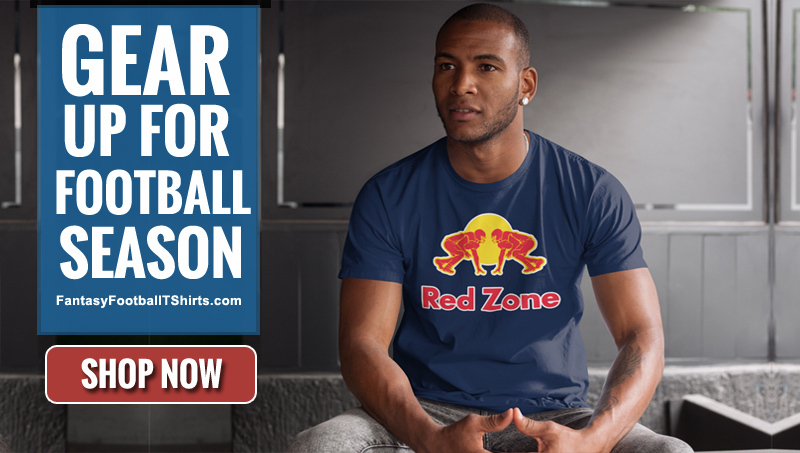 If there is a standard for fantasy football podcasts, draft assistance, terrific fan interaction, and a yearly draft kit to help you succeed then it has to be the guys at The Fantasy Footballers. Andy, Mike, and Jason have created the ultimate year-round fantasy football podcast. The Ballers have created their own little monopoly in the fantasy football podcast game. Combine the standard podcast with their truly unparalleled Draft Kit, community forums, and listener leagues the Fantasy Footballers, as I stated, set the standard. When I started writing this article I sent out a few emails to talk to some of the podcasters and Andy responded to me immediately and was more than willing to talk about the company and all the exciting things they are working on this year. While I was talking to him, he let slip some great information that us listeners should be looking out for this year! I recommend that you start listening to their podcast in the coming months for more information, because, as much as I would love to be the one to tell you all about it apparently they don’t want me to be the face of the company and spilling their secrets. Also, Andy did finish up quickly with asking me to not say what was coming, but I’ll say this, it’s going to be great! Shout out to JayGriz, the stand-in podcaster if any of the guys have to miss a show and Paul Giamatti, the 4th Fantasy Footballer. Check them out here! NFL Fantasy Live – Fantasy freaks and geeks, this is the show for you! The NFL’s fantasy football podcast, hosted by James Koh, is a terrific podcast to listen to each and every time. Koh is joined by an assortment of NFL media personalities, including Marcas Grant, Alex Gelhar, Matt Franciscovich and Matt Harmon, in order to provide well-rounded fantasy football analysis. The team combines their history of in-depth film, statistics, and unique systems of rating players to help you win your league. The group utilizes a mix of humor, pop-culture references, and continuous bantering to keep the show light and fun while providing insight to the coming season. The podcast finishes with “Daily Dap” recommendations which never cease to reveal the true nerdiness of fantasy football players. Also, it doesn’t hurt that James Koh, like myself, is a University of California, Berkeley (Cal) graduate, so that pretty much makes him the best NFL Fantasy Football podcaster ever! Check them out here! Fantasy Hipsters – The Fantasy Hipsters started as a spin-off of the NFL Fantasy Live podcast but soon Matt Harmon and Matt Franciscovich were creating waves with their own small side project. The two do an amazing job of showing up many of the larger podcasts by the quality of the work that they produce. The two official NFL hipsters offer their weekly scalding hot takes on the current fantasy football industry, music, and beer. Each week they offer two podcasts, one that is primarily a mailbag episode and the other general football and fantasy football discussion. Check them out here! Overtime Ireland NFL Podcast – Colm Kelly headlines this terrific podcast in which each episode features guests who talk with Colm, and co-host Doug Moore, about everything new and exciting from around the NFL. Obviously, these topics primarily focus on the NFL from a fantasy football perspective but they also diverge at times and the host lets them get into other topics as well. An example of this would be in a recent podcast in which he discussed the sport of boxing with Jay Quigley, a fairly new 13-0 pro boxer. Check him out here! In my view, to be excellent at fantasy football you also have to know about the NFL as a whole. These podcasts give a great overarching discussion of the NFL as a whole and breakdown individual teams from time to time. Honestly, these are typically my favorites due to their excellent production and humor throughout. They are all amazing. Around the NFL (NFL Podcast Network) – Dan Hanzus, a full-time NFL writer, and part time Uber driver, gathers the rest of the Heroes of the NFL together twice a week in the off-season to discuss the NFL. While this blasé description sounds like it could just be the same as any other general NFL podcast, it is far from it. There is a reason that ATN is one of the largest and most listened to NFL podcast, and much of the reason has to do with the terrific cast of characters that make up the ATN. Chris Wessling, Gregg Rosenthal, and Marc Sessler come alongside Dan each episode to create a near perfect podcast each and every time. If any of them have to miss an episode then they are replaced by a member of the terrific supporting cast: Connie Fox (Collen Wolfe), Conor Orr, as well as the rare appearances by Lindsay Rhodes, Dave Dameshek, Patrick Claybon, and others of NFL media. This podcast stands shoulders above a myriad of other NFL podcasts who try in vain to achieve the heights of ATN. With running bits by all participants, a seasonal team of Around the NFL, and year-round entertainment I simply leave you with the only remaining question that is left unanswered: who is John Gonzalez? Check them out here! Dave Dameshek Football Program – Shek Republic, stand tall! This is a podcast for the ages led by the enigmatic Dave Dameshek. Dave is a fan of all things Pittsburgh, so assuming that the listener can set aside that dramatic character flaw then they will thoroughly enjoy this podcast. Dave and his ever-changing supporting cast are fun to listen to every chance you get. With many NFL media personalities coming into the studio to discuss the game of football, and also, the game of life, it’s hard to get a better listen each time than what the DDFP provides listeners. Check him out here! Gridiron Gentlemen – The Gents from the UK do great work breaking down the NFL. Like most of these podcasts, they review games, discuss current news, and sometimes talk about the fantasy football aspects of the game. The Gents stand out from the rest of the pack in a few ways, for example, every year they devote an episode to each major position group and give the top 10 in that position. They consider it their responsibility to correct the NFL Top 100 players list, and honestly, their list is much better. As they said in a recent episode, comparing QBs to Defensive Linemen is nearly impossible to do. So to not have to deal with this conundrum the Gents divide all the positions into their own categories. If nothing else I suggest everyone go listen to these episodes, they are a great starting point to get a feel for the Gents. Check them out here! Tim and Tom NFL – Tim? Tom? Are you there? Please don’t leave us! Unfortunately, this podcast has suddenly been a little quiet, but, go check them out and subscribe. Hopefully, Tim and Tom will be back! These two Brits do hilarious things while they break down the NFL in their own, let’s say, unique way. I love them enough that even though they haven’t posted since the Super Bowl they still make it on my Top 15! Check them out here! Cover 2 with Banks & Price – New to the podcast game, longtime NFL writers Don Banks and Christopher Price discuss the NFL with Front Office personnel, Head Coaches, General Managers, scouts, and other reporters. The pair breaks down the news and topics of the season with seasoned insight yet simple to understand delivery that anyone can enjoy. With only 133 subscribers, at the time of this writing, they still have a lot of growth to do but so far the show is terrific. 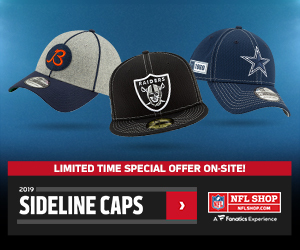 For people who are looking to get a better understanding of how the NFL works as a whole or want to know more about decisions made my the business side of the NFL, these guys are terrific every week. Check them out here! Move the Sticks -For people who are wanting to know more about the upcoming crop of rookies, NFL hopefuls, and draft prediction you can’t find a better podcast. Daniel Jerimiah and Bucky Brooks combine for a truly terrific podcast that offers interesting perspectives about the draft and future of the NFL through interviews with coaches, scouts, future rookies, and others. DJ and Bucky also pull from their own experiences as NFL scouts for insight to how teams may draft. I love every episode by this duo, but for the lead-up to the draft, I can’t recommend them enough. Check them out here! These podcasts are for the niche subjects, they’re designed for those of us fantasy football nerds who possibly are a little too obsessed with fantasy football, essentially I’m talking to you Mr. July-Fantasy-Football-Article-Reader! Commission: Impossible – Ever wondered about unique scoring formats, how to solve complaints in your league, or settle disagreements between league-mates? These two guys do it the best! Scott Fish, the creator of the largest fantasy football championship, the ScottFishBowl, and his pal Ryan McDowell, an accomplished commissioner of many well-known leagues including the renowned Kitchen Sink leagues and the Hyper/Active leagues, discuss issues that many commissioners face every week. They discuss issues that many commissioners would never have to face, but it’s still educational for us all. This duo share with us listeners a wealth of industry-defining ideas about the intricacies of being the head of a league, or as they say, about the “art and science of this rewarding but sometimes thankless job.” If you are a league commissioner, interested in being a commissioner, or wanting to look for interesting ideas to buoy your existing league with some added entertainment then listen to these guys! There is no one better in the commissioning business! Check them out here! Read & React IDP Podcasts – Hosted by Bill Latin and Eric Coleman, a couple of dynasty IDP fantasy football veterans, this is a podcast for IDP fantasy players only! These 2 guys come at you hard with intelligent, compelling IDP fantasy football analysis. If you considering playing in an IDP league or you have been playing in a league like this for awhile then trust me, this pod is for you. It’s a niche subject so you know that these guys are coming at you with all the knowledge there is to have on this subject. Entertaining and educational every listen, I can’t talk about them enough in IDP circles. Check them out here! 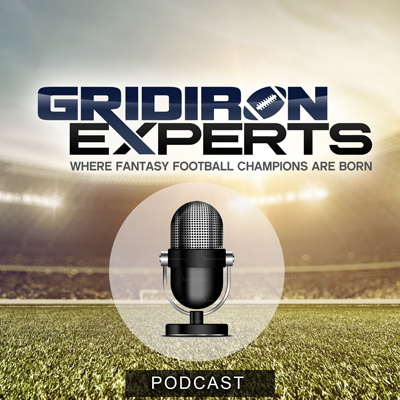 Shameless Plug: Gridiron Experts has 3 Shows Now! I don’t know if you have heard but WE HAVE A NEW PODCAST! Also, we may even have more coming soon so be on the lookout! Our newest podcast, Tradespotting, joins our other podcasts, The Empire and Old School Fantasy. Tradespotting is headlined by GridIron Experts Staff Writers Hunter Gibbon and Matthew Foreman and they just debuted the pilot episode with a discussion on Midsummer Trade Targets. Check them out to get a solid start to next season in your league! Dude, I love. Keep crushing.